Stock product - detailed vector illustration - Lisboa Lisbon Collection - Portugal Ceramic Tiles Vector Souvenir - created by Aurielaki. Image formats EPS AI JPG. Lisboa blue azulejos Lisbon style stock vector images. Portuguese traditional ceramic tiles templates for souvenir. Portugal azulejos Lisbon / Lisboa, Porto, Coimbra. Four azulejo vector templates in lapis blue color bright and quality vintage illustrations. 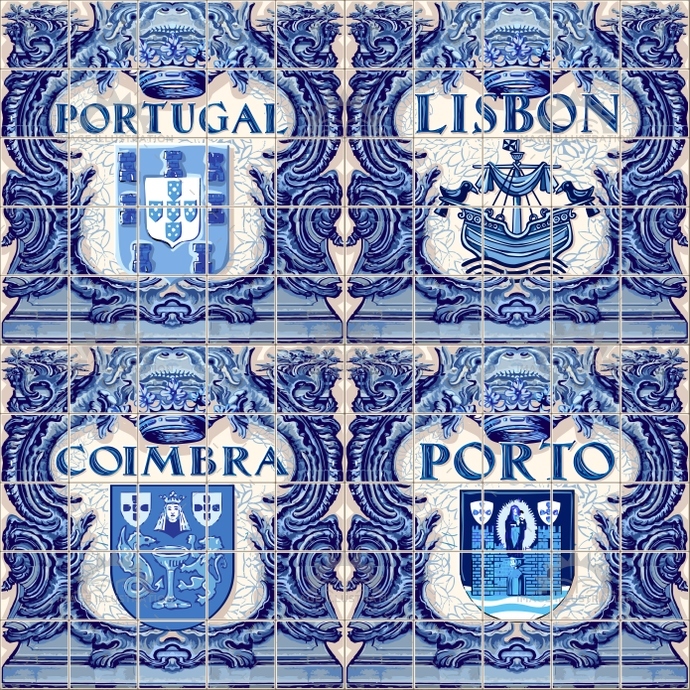 SKU: Portugal-Ceramic-Tiles-Vector-Souvenir-Lisbon-Lisboa-AurielAki. Category: Azulejos Vintage. Tags: arabesque, azulejo, background, beautiful, blue, brocade, ceramic, coimbra, cool, decoration, design, fashion, floor, fridge, illustration, indigo, keepsake, lapis, lisboa, lisbon, magnet, memento, oriental, ornaments, paint, pattern, porto, portugal, portuguese, shop, sign, signage, souvenir, symbol, template, texture, tileable, tiles, traditional, trendy, vector, vintage.